ST. PETERSBURG, Fla. (January 5, 2017) — The Tampa Bay Rowdies have signed Cody Mizell, bringing one of the USL’s sharpest young goalkeepers back to Tampa Bay for a second stint with the Rowdies, pending leaguer and federation approval. Per club and league policy, further contract details were not disclosed. 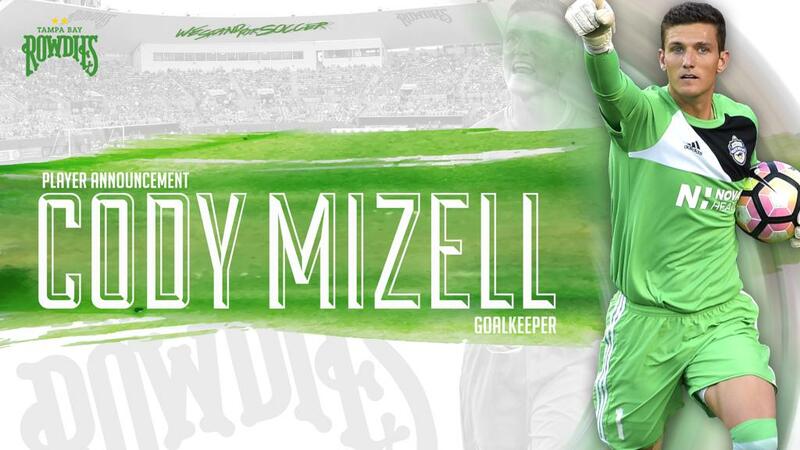 In the 2017 season, Mizell made 32 appearances in net for the Independence and was named one of five nominees for the USL Goalkeeper of the Year Award, which is given to the goalkeeper who had the biggest impact on his team. He was sixth in the USL with 88 saves this year and posted five clean sheets. Mizell played for the Rowdies in 2014, but headed to Iceland for a season with Fram Football Club. Playing 20 out of the 21 league and cup appearances eligible, Mizell earned league’s Best XI for his stellar season. He later returned to the United States and featured for the Charlotte Independence in each of the last two seasons. Tampa Bay’s roster for the 2018 United Soccer League season now sits at 13 members with another addition set to be announced tomorrow and several more next week. COME ON YOU ROWDIES!